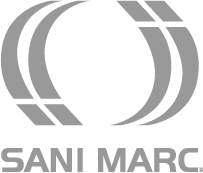 When you purchased your spa, you were looking forward to a pleasurable and relaxing experience. Unfortunately, until now, maintaining your hot tub has been neither pleasurable nor relaxing. 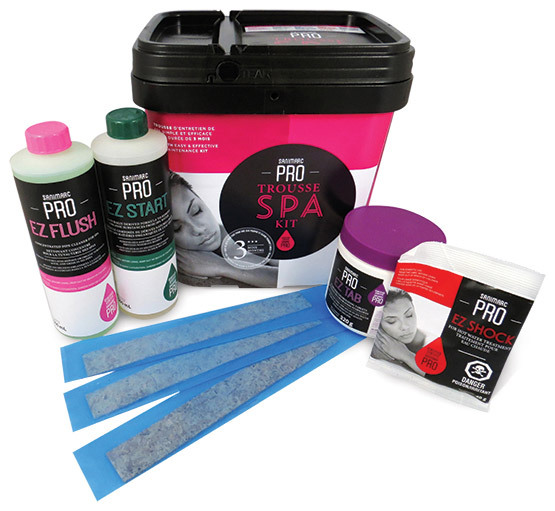 With this kit, you’ll finally be able to enjoy the serenity and peace of mind you deserve. Your hot tub water will remain immaculate and crystal clear.  The Sanimarc Pro Spa kit comes with a FREE MOBILE APP that sends you reminders when it’s time to add a product to your hot tub water. It contains all the products you need for a PERIOD OF 3-MONTHS. 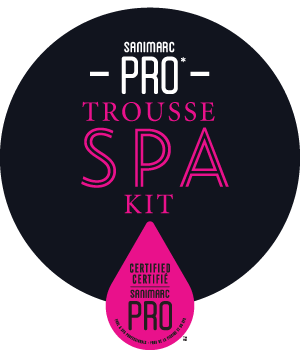 Enjoy total peace of mind and more time to unwind with the Sanimarc Pro Spa Kit!